While it may appear on the surface that every elevator contractor is equally qualified to successfully undertake a new construction project, there are significant differences between elevator contractors that can cost you tens of thousands of dollars, unnecessary anxiety, and many weeks or even months on your project schedule. For building owners or general contractors who have undertaken construction projects with other elevator contractors the key differentiator between Elevator One and others is that we work with them, not against them. We have integrity by only selling “Non-Proprietary” equipment. We install only the highest quality elevator equipment and we do so with the best certified and trained elevator mechanics in the province. For some customers, lifts and elevators are a nice convenience, but for others they are critical to the operations of their business or residence. In recent years we have had a number of large organizations come to us because the shoddy elevator service they were receiving was drastically affecting their ability to provide exceptional services to their own customers. Some manufacturers have freight elevators which are critical parts of their manufacturing lines, vertically transporting raw materials and finished product from one floor to the next. Hotels depend on reliable 24/7 elevator service to make their customers’ experience a positive one. Elevators are also critical for elderly homes and those with disabilities. Apotex Pharmaceuticals, Casino Rama, and Jarlette Health Services are just a few of the many customers that we have taken over in recent years and drastically improved their elevator reliability. Many organizations such as places of worship, schools, and service organizations rely on accessibility lifts to safely, and consistently transport riders with special mobility needs. We are disappointed to frequently hear of stories where those in need are unable to participate in vital activities and events, because their elevating contractors have failed to do proper due diligence. Every month, we have such organizations making the switch to Elevator One, because of our stellar reputation for Integrity, Service and Quality. We service places of worship in most Central Ontario communities. Both the York District and York Catholic School Boards (along with many other school boards), rely on Elevator One to safely transport their most valuable assets – their students and staff. We also support the Royal Canadian Legion, both with annual contributions, and also by servicing many of their accessibility lifts at various branches. All Elevator companies are not alike. Here are five reasons why you should choose Elevator One for your new elevator installion. In over 25 years in business we have never been the source of delay on a building project. We hear stories all the time of elevator contractors delaying building completion but that isn’t our story because we never overbook our crews and we work WITH the General Contractors and Owners, not against them. While many elevator manufacturers have continued to cut corners in their new elevator designs (i.e. thinner steel, cheaper components), we continue to only install high quality equipment. While you can save some money up front, when your elevator needs to be replaced 10 years sooner, all your savings are lost many times over. Many new elevators are proprietary, or have many proprietary components. If you install a proprietary control system, your only option for a service provider will probably be the installing contractor. We do not feel there is integrity in this and therefore only install non-proprietary equipment (i.e. 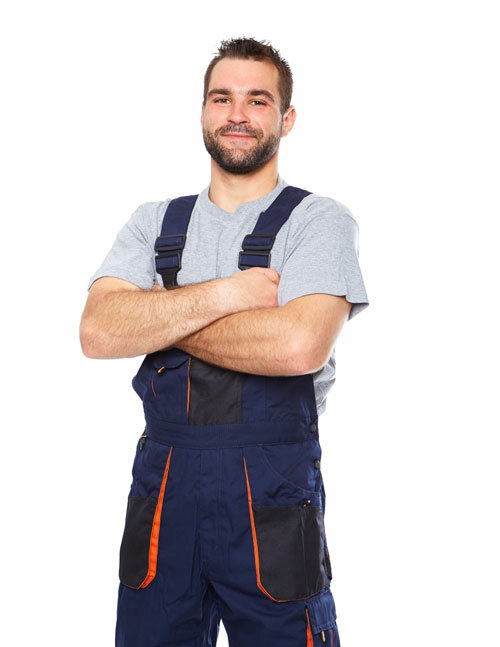 we provide any tools necessary so any qualified elevator technician can maintain it). The new construction market is known for GCs getting the “lowest initial” prices from elevator contractors only to go to war with them afterwards as they try to get every extra they can, cut corners to save money, and frequently miss deadlines. In contrast, Elevator One works WITH contractors and owners, not against them. We charge fair prices up front and only charge extras where reasonable and agreed on. What Type of Elevator do I need for my application? We would love to help you choose the right elevating device for your application. Here are a few of the questions we will ask you. Please call the number below or fill out the form. Is the elevating device for people or handling freight (or both)? What is the application for the elevator (office, manufacturing, school, other)? What sort of traffic do you expect for the elevating device? Are you looking for a standard elevator cab or premium look? How many stops, and will they be front, rear, side openings? What will the travel be of the elevating device (how far will it travel)? Prices vary considerably depending on the type of elevator (accessibility lift, LULA, hydraulic elevator, traction elevator, freight elevator etc. ), the size of the elevator, how many floors/openings, and the elevator cab finishes. The other significant variable is the quality of the manufacturer’s product. Unfortunately the tendering process often used in the general contracting industry does not differentiate between the quality of elevators being offered, and “initial low price” contractors win out, even though the overall value of their offering is lacking. The end customer pays the long term price in such circumstances. They often get “proprietary” low-quality equipment. At Elevator One we only offer high-quality, non-proprietary equipment (such as Delta Elevator out of Kitchener, Ontario). As a general rule of thumb, a small accessibility lift would be in the $35K-40K range, a LULA in the $80-$90K range; a hydraulic elevator in the $100K-$130 range; and a traction or MRL Elevator in the $170K-$220K range. Will you charge us extras? A common ploy in the construction industry is to win a contract by submitting a low “initial price” to win the contract and then go to war with the General Contractor, Architect or owner to win back money later with extras. At Elevator One we work with GCs, architects and owners on Design/Build projects where we charge fair prices up front and then we only charge legitimate extras through formal Change Order procedures. When we do charge extras, they are either requested changes by the customer, or reasonable additions to our work, as discussed with our customer. While this seems like common senses to us, in speaking with the construction community, our approach is unique and much appreciated. Will you hold up our construction project? While it seems as only common sense to us, we seem to be an exception in the elevator construction industry in that we do not overbook our crews. We work with our customers’ project manager at the earliest stages to estimate project schedules and we constantly monitor their progress. We do not sell more than our crews can handle so that we have flexibility to work with our customer’s changes. In the 25+ years that we have been in business, we have never been the source of delay on the closing of a building. This is significant, because elevators are typically one of the last, large pieces of a building that must be completed. In fact, we often go well beyond reasonable efforts to assist building owners in making deadlines that have been threatened by other building trades. You mention you only install “non-proprietary equipment”. What does that mean and why is that relevant to me? Traditionally, new elevators and lifts that were installed could easily be maintained later by any qualified, licensed elevator technician. Through time, lift and elevator manufacturers came up with significant improvements, particularly with the controllers (the brains of the elevators), but this often came at a price. Certain manufacturers developed controllers which could only be accessed by plugging in specialized tools to set up parameters and for reading fault codes. As only their own mechanics owned these tools, only they could properly maintain the elevators after installation, thus creating a monopoly situation. With the advent of machineroomless (MRL) elevators, the issue has be exasperated because even much of the physical equipment is now proprietary (i.e. Otis belts instead of ropes; customized Kone motors etc.) and can only be purchased through the installing manufacturer. At Elevator One, we do not see the integrity in installing proprietary equipment which forces a customer to deal with us in the future. Our customers return to us because they want to, not because they have to. For this reason we install only non-proprietary controllers (i.e. we provide the tools to maintain them later), and we install MRLs with the largest amount of off-the-shelf equipment possible. Delta Elevator (Kitchener, ON) is one manufacturer who offers such non-proprietary equipment and we are a Value Added Reseller for them.